Since 1987, the Fuyao Group, has been producing outstanding automotive glass for various markets. Fuyao Glass America is an OEM glass supplier for the world’s top auto manufacturers, including GM, BMW, Isuzu, Chevrolet, Jeep, Chrysler, Honda, Ford, Toyota, Audi, Volkswagen, and Mercedes, just to name a few. Fuyao’s locations in the United States include: Lake Orion, MI – Greenville, SC – Moraine, OH – Mt. Zion, IL. " Fuyao initially contacted ITSENCLOSURES after an internet search for computer enclosures. ITSENCLOSURES was re-engaged on the project through the referral of an integrator for Fuyao. Fuyao recently acquired PPG’s automotive glass manufacturing facilities and underwent major renovations before they could begin production. Fuyao sought a heavy duty industrial computer enclosure to house vital electronics on their plant floor. 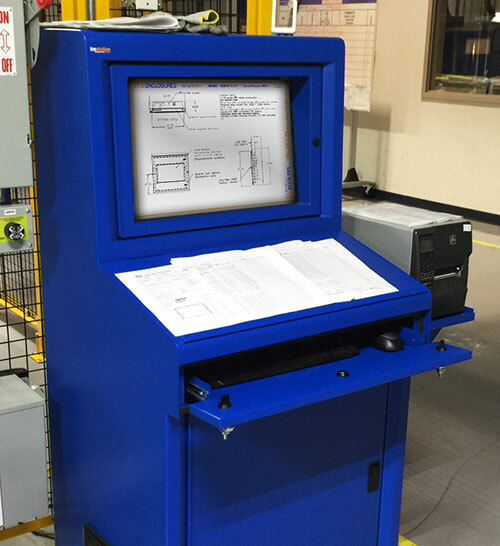 The requirements for the enclosure solution included a NEMA 12 rating, enough space to house a wide screen monitor, keyboard, mouse, computer and bar code printer. Fuyao’s major concerns included finding a quality product, at a competitive price, that would withstand a manufacturing environment. Due to their rapid expansion, the glass manufacturer required the enclosures very quickly to meet their aggressive timeline and go live date. Fuyao set a very low budget for deploying the computer enclosures based on a competitor’s cabinet. Fuyao, not willing to accept an inferior product, contacted ITSENCLOSURES for 100 piece pricing on a comparable enclosure product. Unfortunately, the competitor’s products were not of the same quality of ITSENCLOSURES’ products and ultimately failed in such a harsh, dirty environment. In order to show the products' differences, ITSENCLOSURES offered to send Fuyao an evaluation unit to review internally before making a purchasing decision. The companies were able to negotiate a price that kept Fuyao within their desired budget. 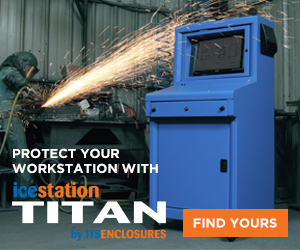 ITSENCLOSURES recommended the IceStation TITAN freestanding computer enclosure. The TITAN accommodates up to 24inch wide screen monitors, has an integrated keyboard drawer with a sloped work surface, and space underneath the keyboard drawer for a PC and power supply. 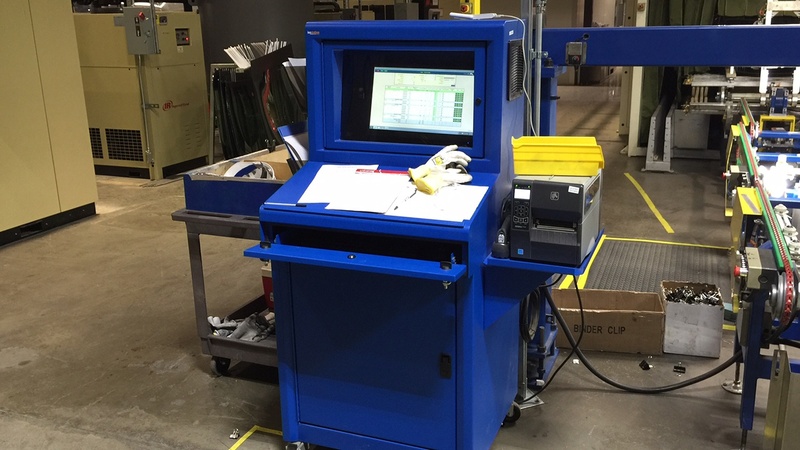 Fuyao desired an external side mounted shelf to support a thermal barcode printer. A sealed cable entry gland, installed next to the shelf, easily routes electrical cables and wires without jeopardizing the NEMA 12 enclosure rating. To keep the electronics running at optimum temperatures, a 200 CFM filtered fan system with a normally open thermostat was installed on the enclosure. Fuyao issued a purchase order in September 2015. Shipments of the computer enclosures began immediately and spanned over 3 months. ITSENCLOSURES completed the deliveries in December 2015, just before the holidays. Fuyao deployed 130 IceStation Titan enclosures between their Moraine, OH and Lake Orion, MI facilities. ITSENCLOSURES easily scaled production to meet Fuyao’s needs and delivered the enclosures ahead of their schedule. The automotive glass supplier is very pleased with the performance of the IceStation TITANs and hopes to order more cabinets in the near future.